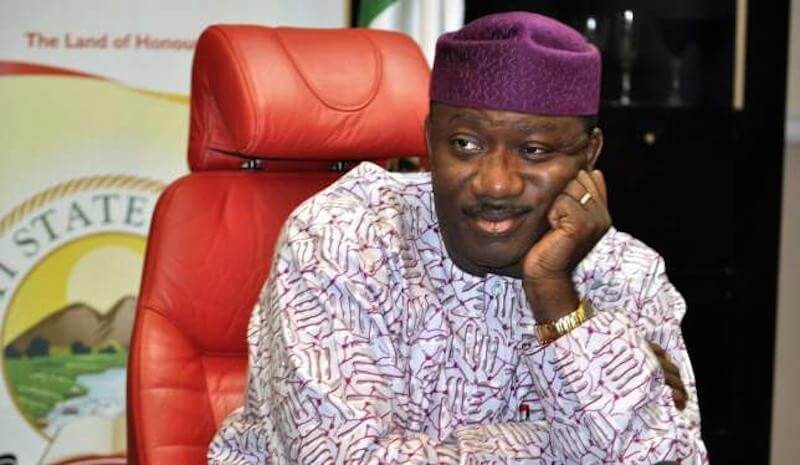 Minister of Mines and Steel Development, Dr. Kayode Fayemi, has finally broken his silence on his speculated governorship ambition in Ekiti State. Fayemi, who was in office between October 2010 and October 2014 said his joining the governorship race was not debatable but he would not want to flout the law by declaring intent to contest when INEC was yet to blow the whistle for the race to start. The former governor who addressed a briefing on his ambition at his Isan-Ekiti country home on Sunday said everything constitutionally, legally and legitimately possible would be done to ensure an APC victory at the forthcoming governorship poll. Fayemi said: “Do you need a rocket scientist to tell you that I am running? I was very clear that I am a process person, I am not going to jump the gun because there are rules and guidelines for electioneering. “The body that is responsible for that has stated the obvious when you can actually start campaign. The fact that people are actually flouting the guidelines is a fault of INEC and INEC is not taking them up on it. “That is my own attitude to it and at appropriate time, I will tell my party because this is purely a party matter, it is not a public matter yet. “So, I don’t really understand the level of curiosity whether I am running or I am not running. I am very clear that what we have in this state today is not what this state deserves. “I have always been very clear that whatever it takes constitutionally, legally and legitimately to pout our party in office in October 2018, we will do as a party. “I have also gone ahead to say this meeting (held on Saturday) is our usual gathering; it is not a place to declare the intention to run but as to whether I am running or not, I am running. The minister had earlier hosted party leaders from ward to state levels to a quarterly meeting on Saturday but did not publicly declare intent to run for governor at the gathering contrary to widespread speculations.